Sarah joined MSS in 2014 as the founding principal of our Brentwood campus and is so excited to work with our amazing kids, families and teachers every single day. Prior to MSS, Sarah served as Chief Learning Officer for the KIPP Foundation, where she worked alongside the KIPP network’s school leaders and aspiring leaders, facilitating opportunities for their professional growth, reflection and development. 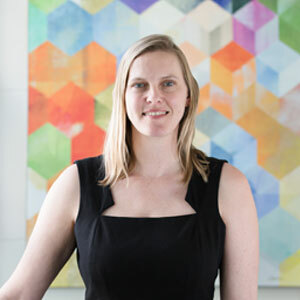 Sarah previously led the KIPP School Leadership Programs (KSLP) team’s work with regional leaders and external partners as the Senior Director of National-Local Leadership Development. Sarah first joined KIPP in 2001 as KIPP DC: KEY Academy’s founding 5th grade math teacher. Sarah served as KEY’s vice principal, then principal and eventually KIPP DC’s first Chief Academic Officer. Under Sarah’s leadership, KEY Academy was named a National Blue Ribbon School in 2007. Sarah has been honored with KIPP’s Kinder Excellence in Teaching Award in 2003 and the Washington Post’s Principal of the Year Award in 2009. Sarah began her career in education as a Teach For America corps member in Washington, DC and received a Bachelor of Arts in Public Policy from Brown University and a Master of Business Administration from the Smith School of Business, University of Maryland. Sarah loves seeing Brentwood kids grow their brains and grow in to amazing young people. Sarah also loves to support teachers and leaders, helping them grow in their profession.